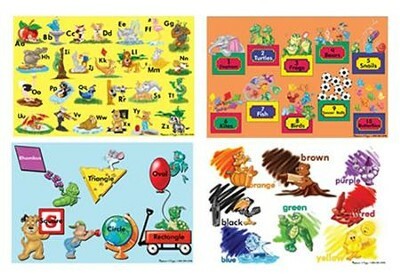 Four 12" x 18" puzzles teach beginning skills with alphabet, numbers, shapes and colors displayed in bold colors and graphics for children age 3 and up. 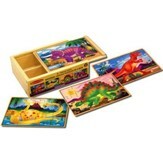 Heavy duty construction and smooth wipe-clean surface make this set of puzzles top choice for long-lasting fun. All four floor puzzles come in one convenient box for in-betweeen-play storage. I'm the author/artist and I want to review Beginning Skills Floor Puzzle Set.